HE finished second in last year’s Dunlop series, and looks set to do the same again, but it’s what he’s up to next year that is likely to set a cat amongst the pigeons for 26-year-old Ipswich race driver Ash Walsh. You see, after next weekend’s Sydney 500, Walsh will join the main game for 2015, with AMG Mercedes team Erebus Motorsport pulling off a coup and signing the young talent to a two year deal. Erebus Motorsport CEO Ryan Maddison said the highly-regarded Walsh deserved his chance in the V8 Supercars field having proven to be a consistent performer over a number of years in the Dunlop Series. “Ash has consistently been one of the leading drivers in the Dunlop Series for the past few years and comes highly recommended from two of the most respected figures in the industry in Ross and Jim Stone,’’ said Maddison. “For Erebus, Ash represents an attractive all-round package for our team and has earned the chance to take his career to the next level in the V8 Supercars field – a step that other young drivers such as Scott McLaughlin and Chaz Mostert have taken which great success in recent years,” he said. Walsh said he was thankful to Erebus Motorsport Owner Betty Klimenko for providing him with the chance to test himself in V8 Supercars and said he was looking forward to working alongside former Bathurst winner and respected V8 Supercars driver Davison. “I feel like it’s been something that I’ve worked towards my entire life really, trying to make it as a professional race driver. So for me, it’s the culmination of many years of hard work and I’m very proud to represent Erebus and thankful for the opportunity they’ve given me,’’ said Walsh. “Will is a driver with a pretty impressive CV, so for me, I need to take all the benefits that adds and work with the great group of guys at Erebus to bring myself along as a driver. Obviously coming into the main series, I’ve got a lot of work to do and I’m looking forward to having that opportunity,” he said. 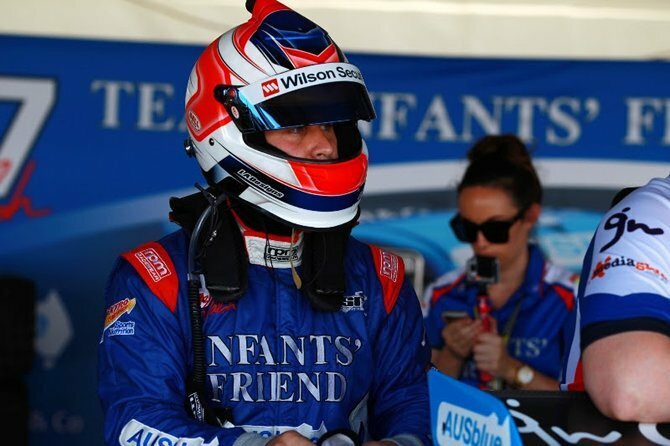 Walsh will finish the year in the Dunlop Series with Matt Stone Racing at the Sydney 500 before joining Erebus Motorsport in January next year. His first official appearance in the #4 Mercedes-Benz will be at next year’s Sydney Test Day at Sydney Motorsport Park from February 7-8.